Bove noted that in the second quarter of 2018, the growth in the money supply (M2) was zero. Why? He blamed “the tightest monetary policy since Paul Volcker, whose policies in the mid-1980s led to back-to-back recessions.” The Fed has raised interest rates seven times, with five more scheduled, while it is shrinking its balance sheet by $40 billion per month, soon to be $50 billion per month. The president can and will take control of the Fed. It may be recalled when the law was written creating the Federal Reserve the secretary of the Treasury was designated as the head of the Federal Reserve. We are going to return to that era. Returning the Fed to Treasury control, however, means more than appointing new Board members. It means “nationalizing” the central bank, making it a public utility responsive to the needs of the public and the economy. And that means modifying the Federal Reserve Act to change the Fed’s mandate and tools. 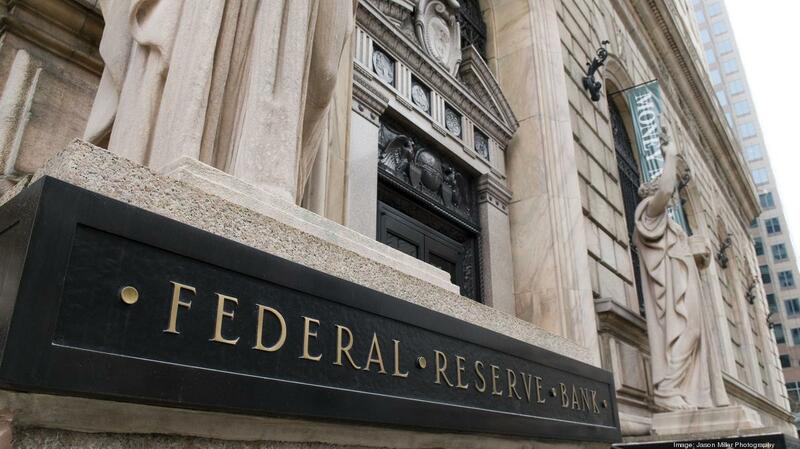 Ever since the 1970s, the Fed and other central banks have insisted on their independence from political control. But according to Timothy Canova, Professor of Law and Public Finance at Nova Southeastern University, independence has really come to mean a central bank that has been captured by very large banking interests. It might be independent of oversight by politicians, but it is not a neutral arbiter. This has not always been the case. During the period coming out of the Great Depression, says Canova, the Fed as a practical matter was not independent but took its marching orders from the White House and the Treasury; and that period was the most successful in American economic history. [W]e can produce more than enough food to feed everybody, and there is definitely enough work for everybody in the world, but there is clearly not enough money to pay for it all. The scarcity is in our national currencies. In fact, the job of central banks is to create and maintain that currency scarcity. The direct consequence is that we have to fight with each other in order to survive. The rationale for central bank independence dates back to about in the 1970s of “stagflation” – rapidly rising prices along with stagnant productivity. The inflation surges were blamed on political pressure put on Fed Chairman Arthur Burns by the Nixon administration to follow easy-money policies. But the link between easy-money policies and inflation is not at all clear. The Japanese have had near-zero interest rates for two decades and cannot generate price inflation although they are trying to. An alternative explanation for the rising prices of the 1970s is that producers’ costs had gone up, largely from increased labor costs due to the strong bargaining power of unions and the skyrocketing cost of oil from an engineered 1973-74 oil crisis. Fed policy nevertheless remains stuck on the “Quantity Theory of Money,” which says that increasing the money in the system will decrease the value of the currency, driving up prices. The theory omits the supply factor. As long as workers and materials are available, increasing “demand” (money) can generate the supply needed to meet that demand. Supply and demand increase together and prices remain stable. And while the speculative economy may be awash in money, today the local productive economy is suffering from a lack of demand. Consumers are short of funds and heavily in debt. Moreover, plenty of workers are available to generate the supply needed to meet any new demand (injection of money). According to John Williams at ShadowStats.com, the real unemployment figure as of April 2018, including long-term discouraged workers who were defined out of official existence in 1994, was 21.5 percent. Beyond that is the expanding labor potential of robots and computers. A vast workforce is thus available to fill the gap between supply and demand, allowing new money to be added to the productive economy. But the Fed insists on “sterilizing” every purported effort to stimulate demand, by making sure the new money never gets into the real economy. The money produced through quantitative easing remains trapped on bank balance sheets, where the Fed pays interest on excess reserves, killing any incentive for the banks to lend even to other banks; and the central bank has now begun systematically returning even that money to its own balance sheet. Only John Kennedy and Abraham Lincoln and two other assassinated presidents, James Garfield and William McKinley, prior to Nixon, had actively contemplated changes of such magnitude in the US financial system.
. . . The hidden secret since the beginning of modern capitalism is that money is created and managed by bank control over checking accounts in the loan-making process. Willing says Nixon was preparing the Federal Home Loan Bank Board to change the traditional role of American savings and loan associations, giving them money creation powers like the big Wall Street banks had, providing a full-service nationwide banking system. The national money supply would thus be regulated according to needs at the local level rather than dictated from the top by the central bank. The proposed legislation provided for a separate central bank to backstop local credit unions and a much greater degree of competition for a wide array of financial services. An “Independent” Central Bank or a Public Central Bank? Challenging the Fed is thus risky business, and the president should be given credit for taking it on. But if he is planning to change the makeup of the Federal Reserve Board, he needs to appoint people who understand that the way to jumpstart the economy is to inject new money directly into it, not keep the money “sterilized” in fake injections that trap it on bank balance sheets until it can be reeled back in by the central bank. Interesting proposals for how the Fed could inject new money into the economy include making direct loans for infrastructure (as the Chinese central bank is doing), making low- or no-interest loans to state and local governments for infrastructure, or refinancing the federal debt interest-free. Better than changing who is at the helm of the central bank would be to change the rules governing it, something only Congress can do. Putting the needs of the American people first, as Trump promised in his campaign speeches, means making the Fed serve Main Street rather than Wall Street.